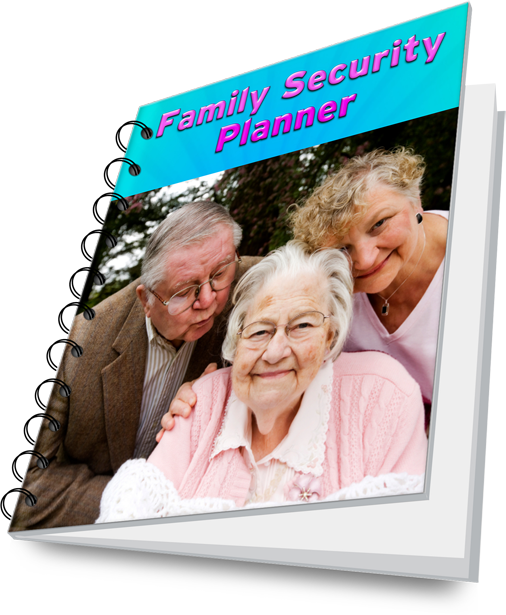 The Family Security Planner is a package of helpful sample forms for aging individuals. Unfortunately, we have found that most people do not have a healthcare directive and a durable power of attorney in place. Additionally, caregivers don’t have all of the important information they need, particularly if the loved one has dementia or memory loss. We hope that this planner will help you begin important discussions with your aging loved ones', and that you will be able to get the included legal forms signed and notarized. This planner can help you be ready, regardless of what may happen, with critical legal documents in place and the right information at hand. What is in the Family Security Planner? A basic Durable Power of Attorney form that would be recognized in any state. An Advance Health Care Directive form, also called a Power of Attorney for Healthcare. Physician's Orders For Life Sustaining Treatment. This form is recognized in at least 30 states. It can protect your loved ones from unnecessary and futile treatment if they do not wish to be kept alive artificially. It reflects a conversation that should take place between your elderly parents and their doctor(s) about what they want at end of life. The form must be signed by the doctor, and it becomes a permanent part of the person’s medical record. A Personal Information Log, where you can record important information, such as social security number, doctors names and phone numbers, contact info for neighbors and other important data. Getting Organized will help you record the location of important documents. A Location of Financial Records form. Many other helpful forms and documents. We know that you could search around and find some of these forms online, but our The Family Security Planner will save you valuable time. Everything you need is right here in one place. The organizational forms are exclusively ours at AgingParents.com. They were developed after much thought and expert input to help ensure that caregivers have everything they need close at hand. This $20 Planner is just a CLICK away to get it now on your computer.